Keep your surfaces safe and stylishly adorned with our selection of coasters! We carry medieval, fantasy, gothic, and pop culture coasters here. 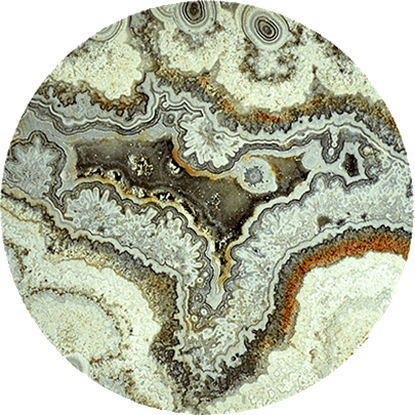 Many of our coasters are made of high quality materials and are impeccably detailed. We offer hand painted cast resin coaster sets with bases that look like carved dragons, mermaids, fairies, and skulls. We also offer ceramic coaster sets decorated with graphics from popular franchises like Star Wars, Harry Potter, Game of Thrones, and Star Trek, as well as coasters decorated with fantasy or patriotic artwork. When you are looking for a set of coasters that will add to the intrigue and uniqueness of your home decor, shop our selection of pop culture, gothic, and fantasy coasters here. 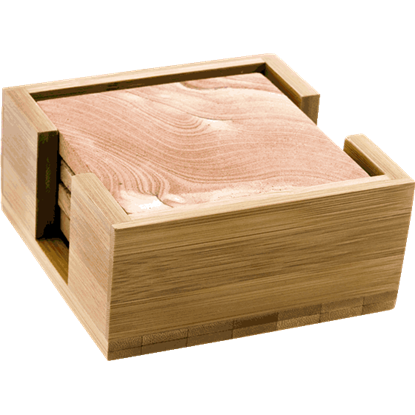 When you are not using your coasters, keep them neatly contained in the Bamboo Wood Square Coaster Holder. This minimalist coaster box has an open top that lets you show off the design of your coasters even when they are put away. A gorgeous geode-like pattern decorates each piece in the Beauty of the Earth Coaster Set. This set of four coasters is both beautiful and useful, made of naturally absorbent sandstone that keeps condensation off of surfaces. 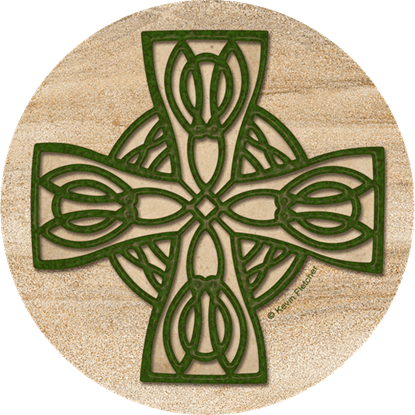 The Celtic Cross Coaster Set brings the beauty of the ancient culture to any decor. This set includes four coasters with matching green Celtic cross designs. Each is made of solid sandstone, which naturally absorbs drink condensation. 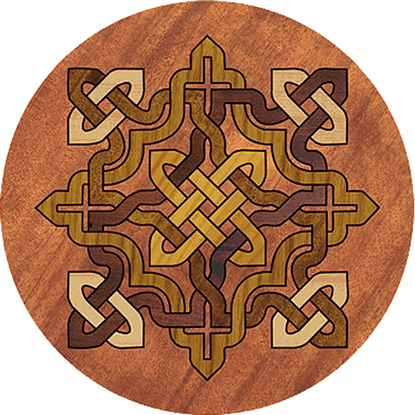 Celtic knots can symbolize interconnectedness and eternity. The Celtic Knot Coaster Set includes four matching coasters made of naturally absorbent sandstone, each with an intricate knotwork design over a wood look background. The Cherry Wood Round Coaster Holder brings easy neatness and style to the surfaces you protect with coasters. 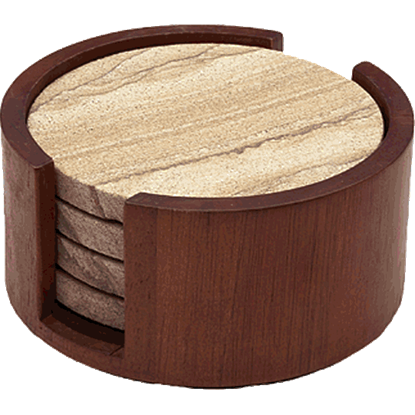 This circular coaster container is made of wood with a beautiful cherry finish and holds up to four round coasters. Fans of the Game of Thrones series by George R.R. Martin and the HBO TV show can show off their love for one of their favorite characters with the Daenerys Targaryen Coaster Set, featuring four captured images from the show. 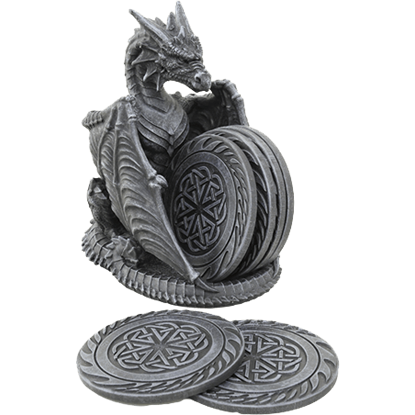 This dragon coaster set is a great for any medieval table in your office or home. 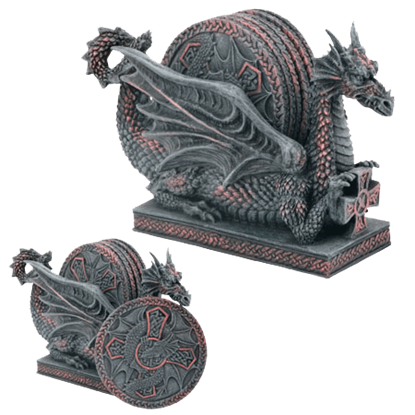 This coaster set features a dragon laying down with the coasters stored in between its wings. The coaster set is perfect for protecting your priceless. Dragons serve as guardians of their hoards of treasure, warding off thieves with their claws and fiery breath. The Dragon Coasters depict two fierce dragons sitting back to back, supporting the coasters between them. Dragons make up one of the fiercest and most ancient races of all the magical species ever dreamed. 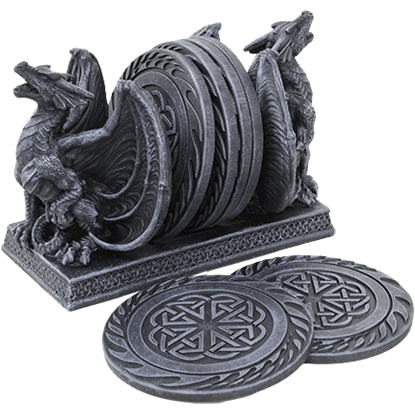 The Dragon Drink Coasters depicts an impressive dragon sitting on its haunches to cradle several round coasters between its wings. 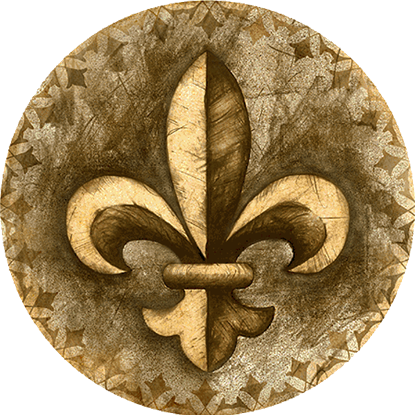 The distinctive fleur-de-lis image depicts a stylized lily or iris, frequently appearing in French heraldry. The Fleur de Lis Coasters present this classic design across the faces of a set of four drink holders. The Fleur-de-Lis Coaster Set is perfect for feeling just like royalty when you enjoy your favorite drink, all while keeping surfaces safe from condensation. 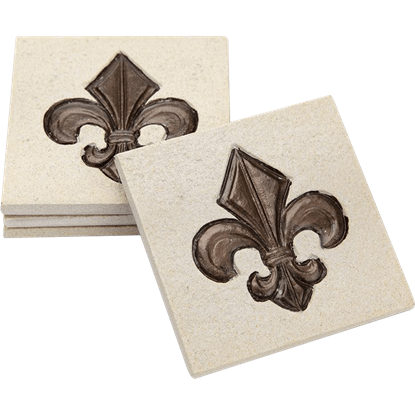 These solid sandstone coasters each have a large fleur-de-lis design. 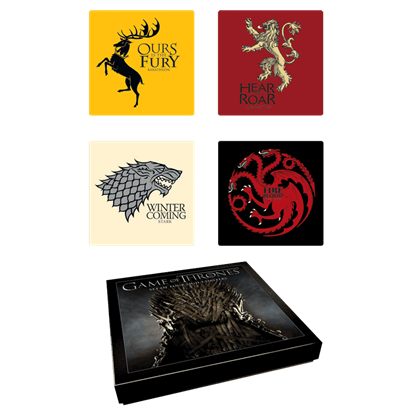 With this Game of Thrones House Sigil Coaster Set, you can add a touch of Westeros to your decor, all by placing a few symbols of the great families who vie for control of the Iron Throne during the Game of Thrones television series.